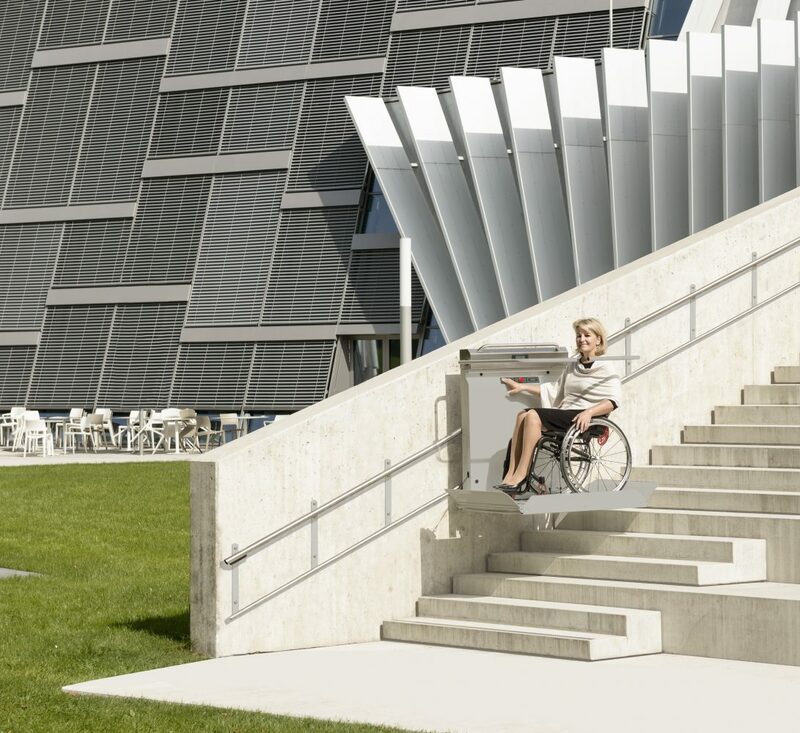 Mobility impairment – because of an accident, a disease or the natural ageing-process – creates for the effected people a restriction in terms of personal liberty and quality of life. 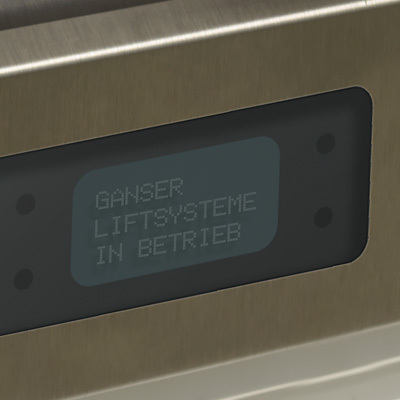 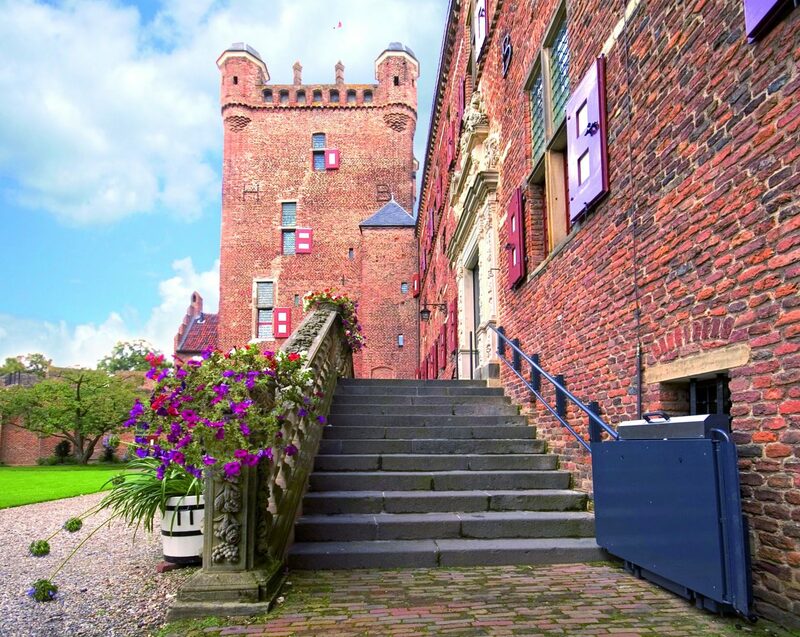 Ganser liftsystems therefore aims at reducing daily barriers by re-establishing independence with individually planned and visually pleasing solutions. 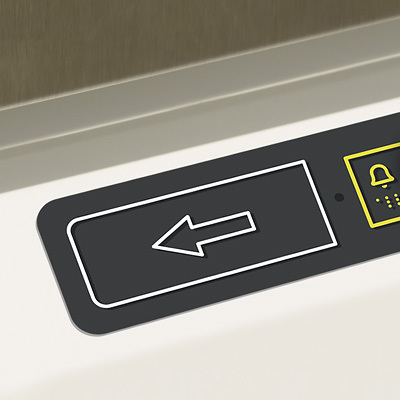 Simple and intuitive: Touch surface control buttons, which are also in braille, can be used for an almost effortless performance. 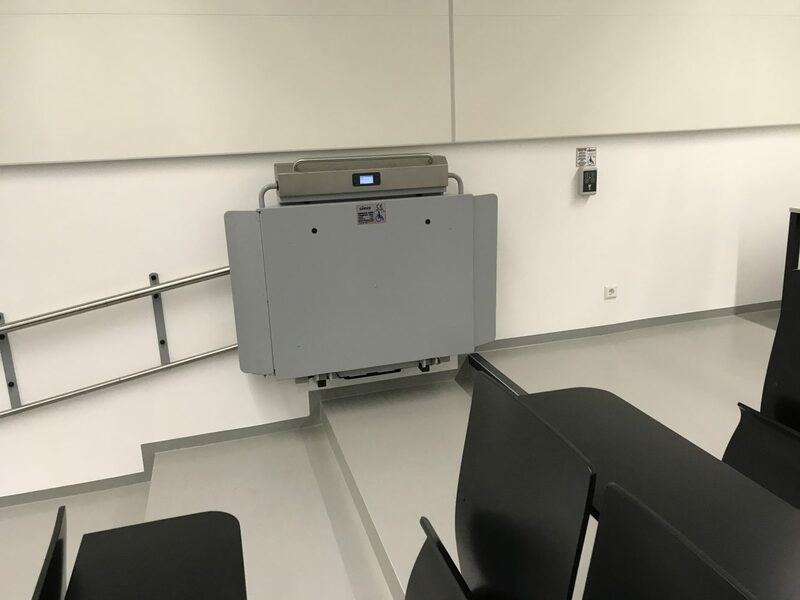 Time and cost saving: By looking at this display all the necessary information is given at a glance, for example, when maintenance procedures are due or when the status operation changes. 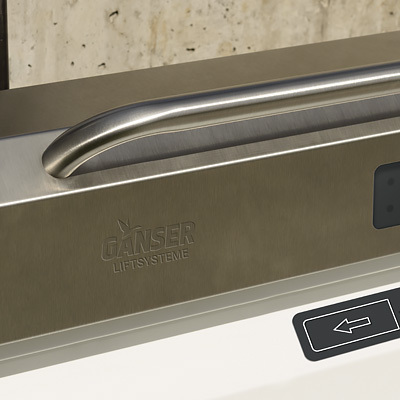 Weatherproof and robust: Components of stainless steel and metal enable a smooth and safe ride as well as ensure personal safety and a visually pleasing product. 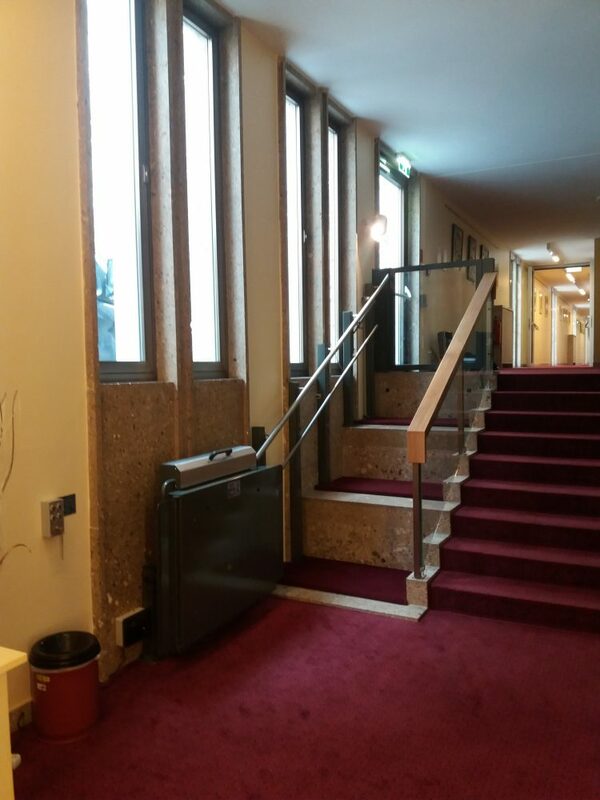 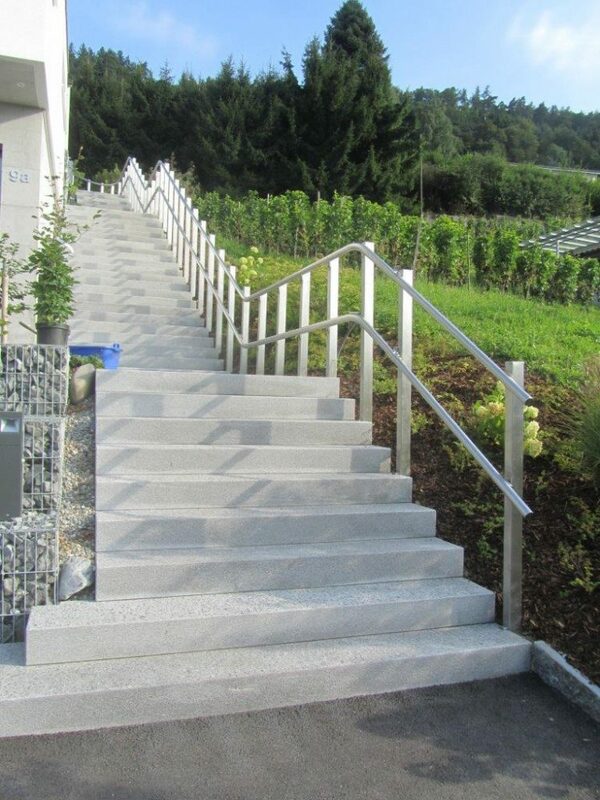 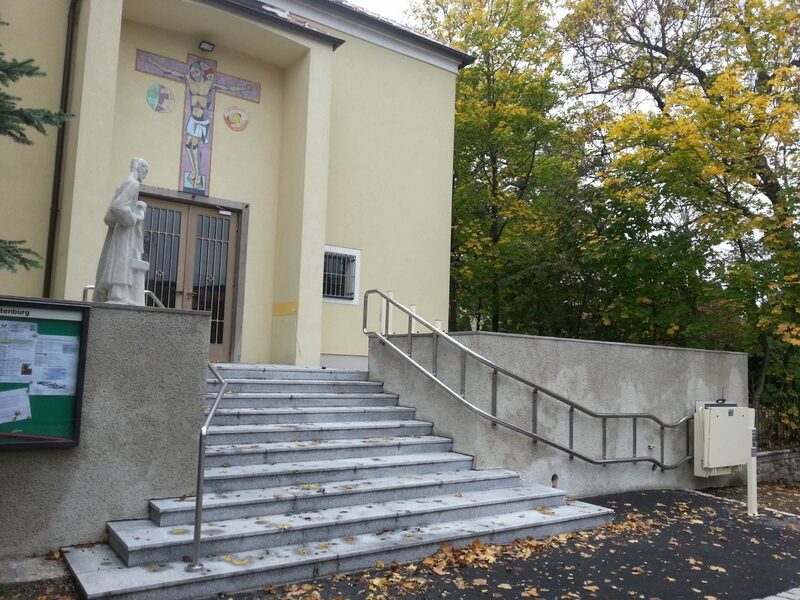 Safety and stability: The resistant stainless steel guarantees a durable functionality and can also be used as a handrail. 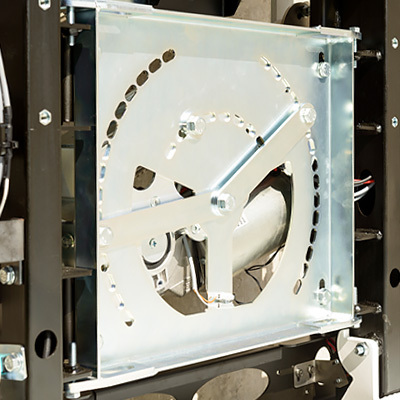 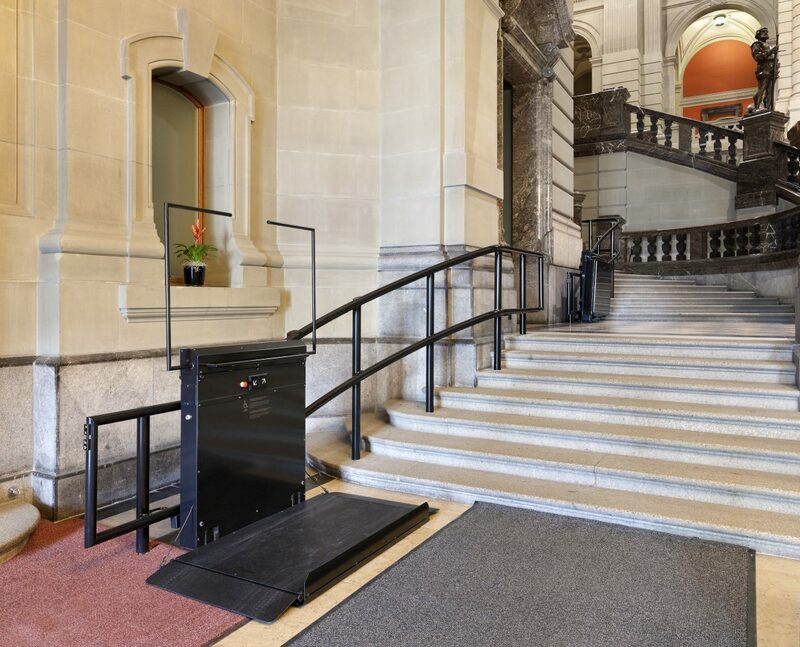 Agile and versatile: An optional left or right-hand construction is possible,0-50° ajustable; these models allow future modifications to be made and therefore ensure a longterm value maintenance. 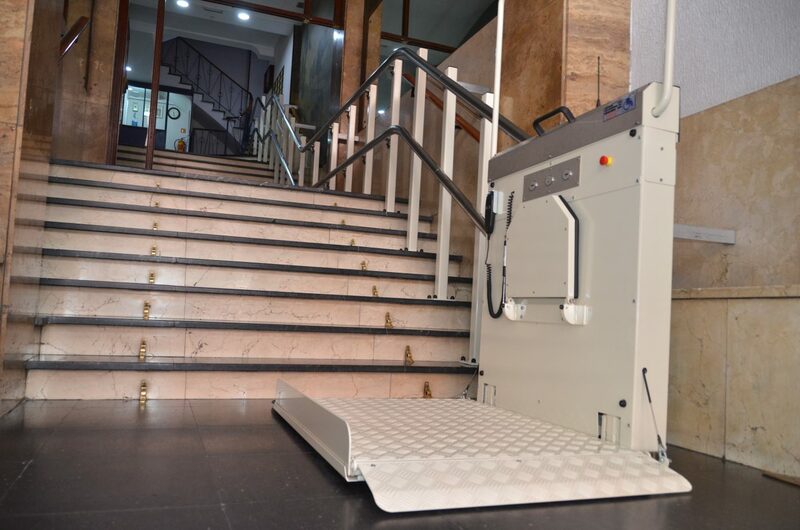 Protective and comfort: Because the security of our customers is our main priority, the anti-rolling mechanism, the contact data and the side-shaft mechanism all meet current security standards. 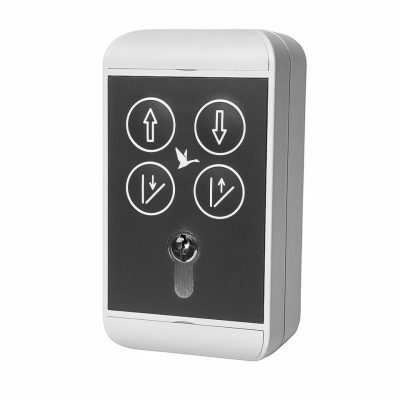 Fixed and possible to lock, perfect for in public and outdoor areas. 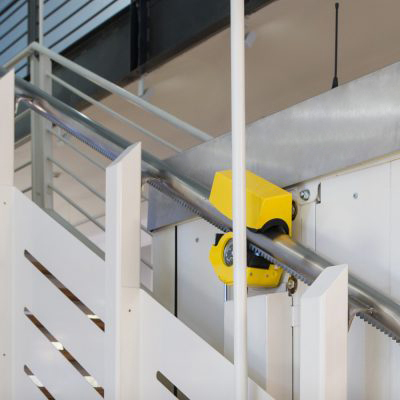 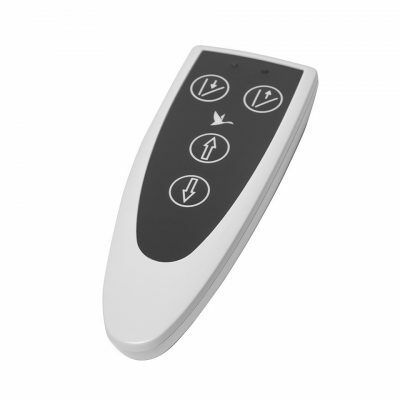 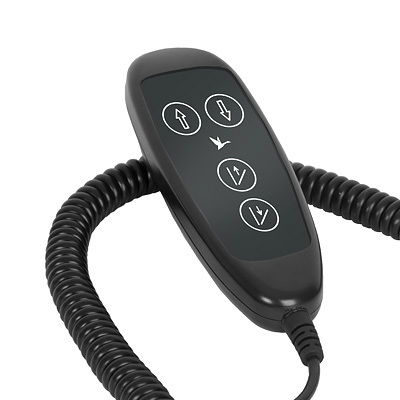 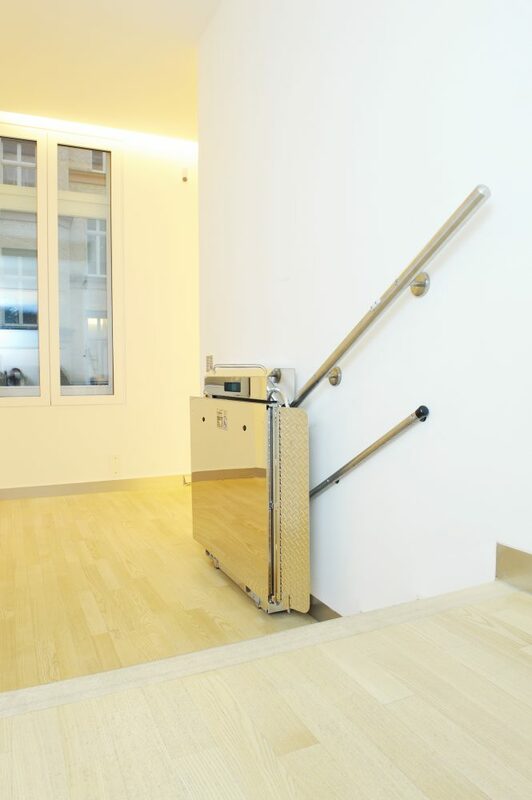 Enables the lift to be controlled within close proximity. 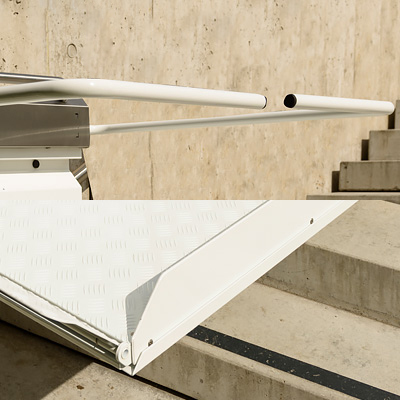 Enables an ergonomic operation when using a folding-seat. 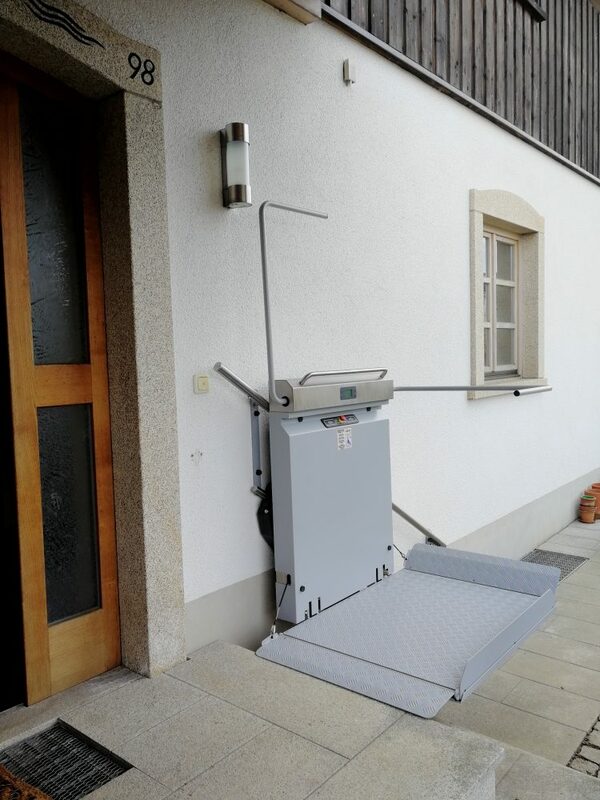 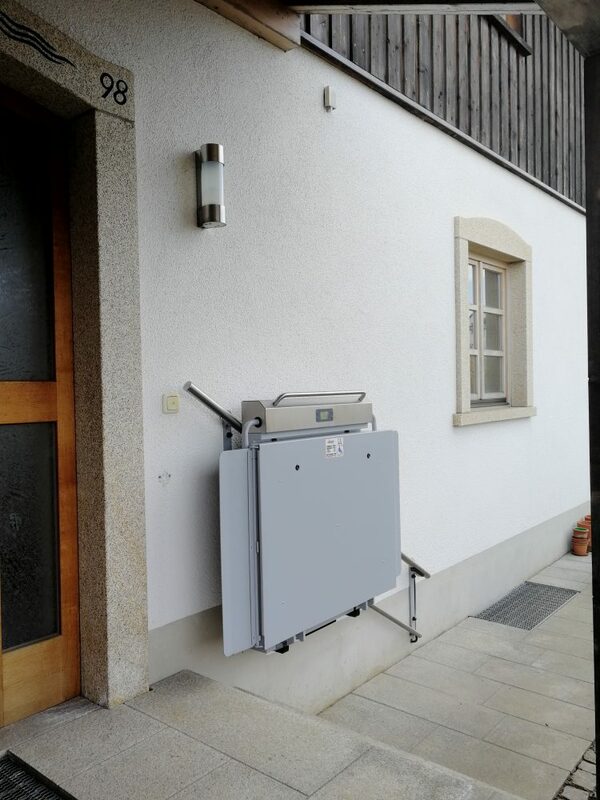 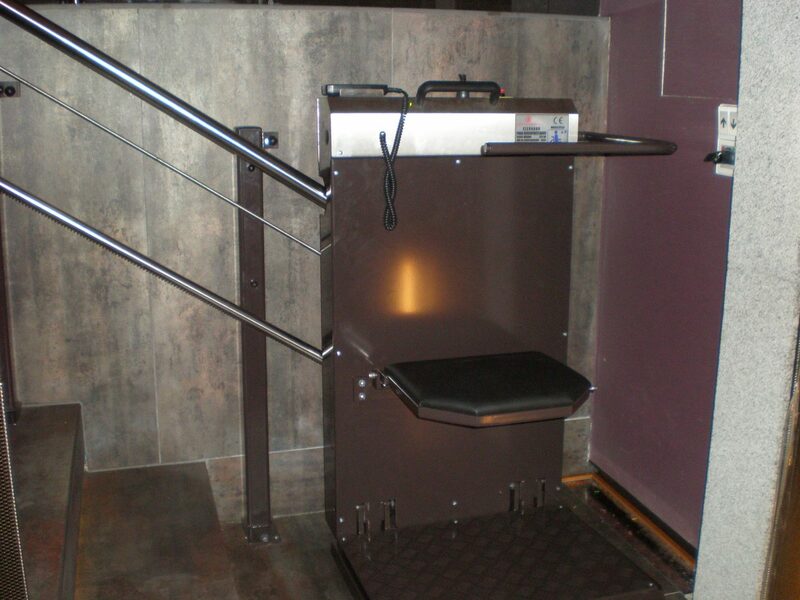 For an upgrade from a platform stairlift to a seated chair lift. 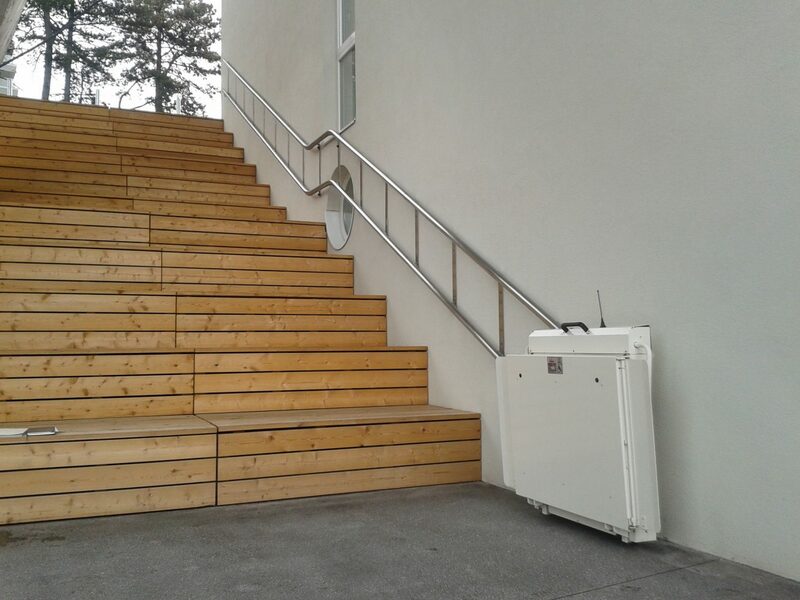 In particular, when there is a shortage of space for the runners of the platform on the opposite side of the lift. 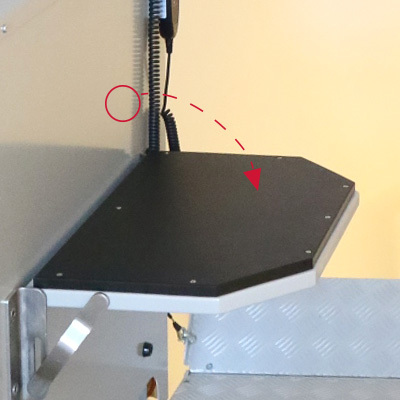 Optimal use of space and platform maximization through a millimeter accurate adaption. 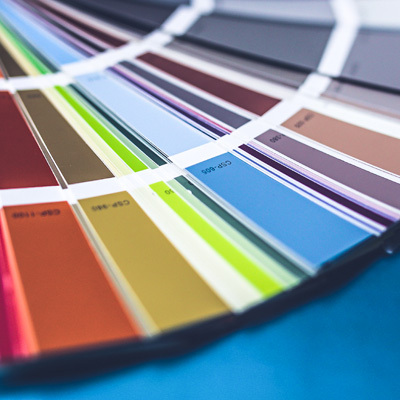 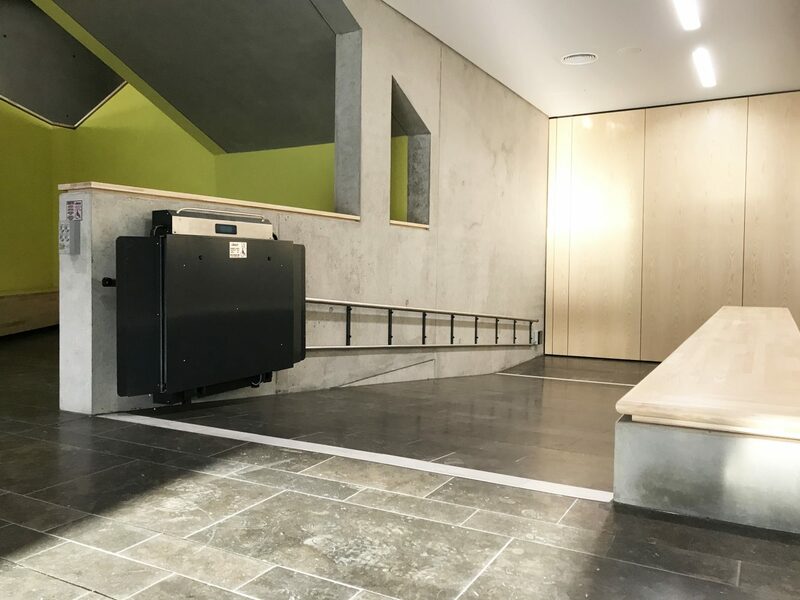 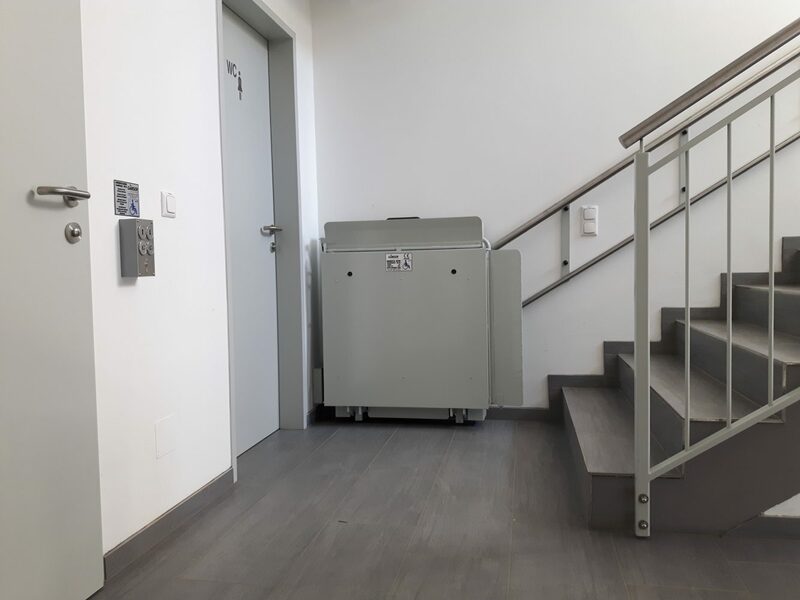 In a standard grey (RAL7040), stainless steel or in a colour from the RAL-colour range, the lift will fit the colour scheme of its environment. 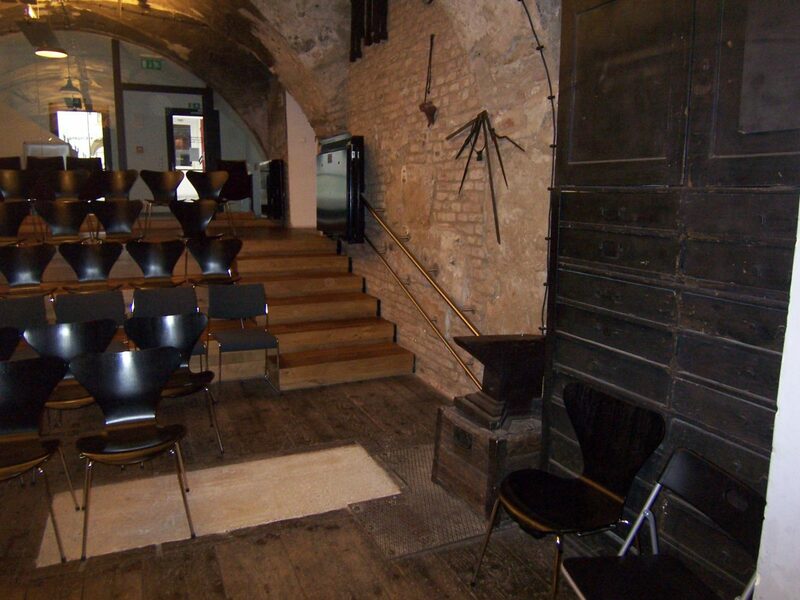 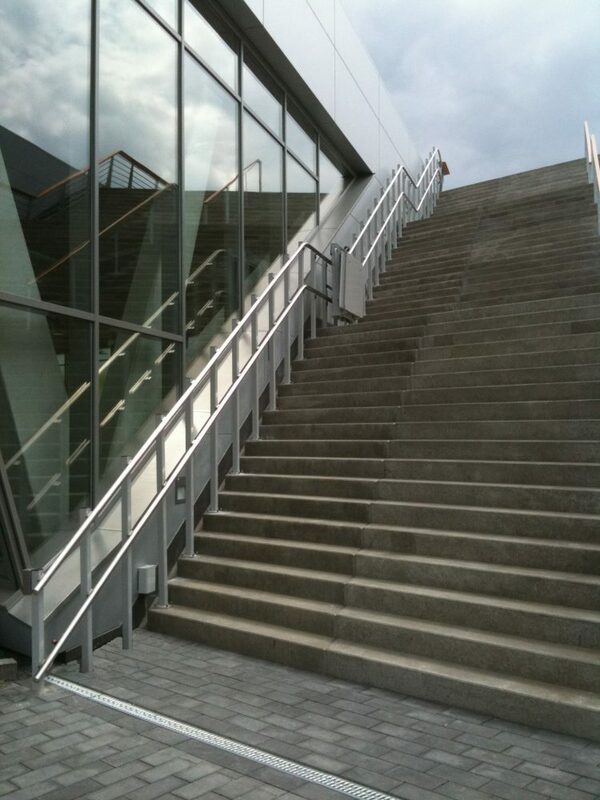 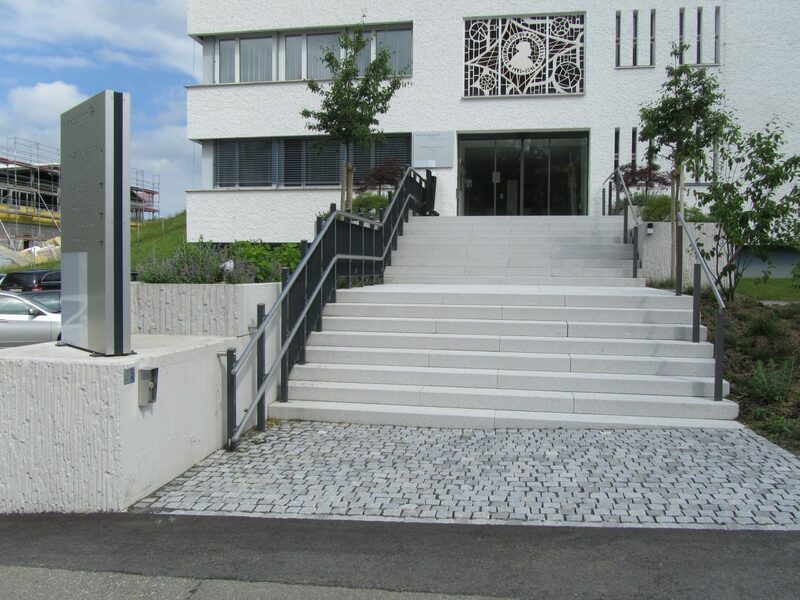 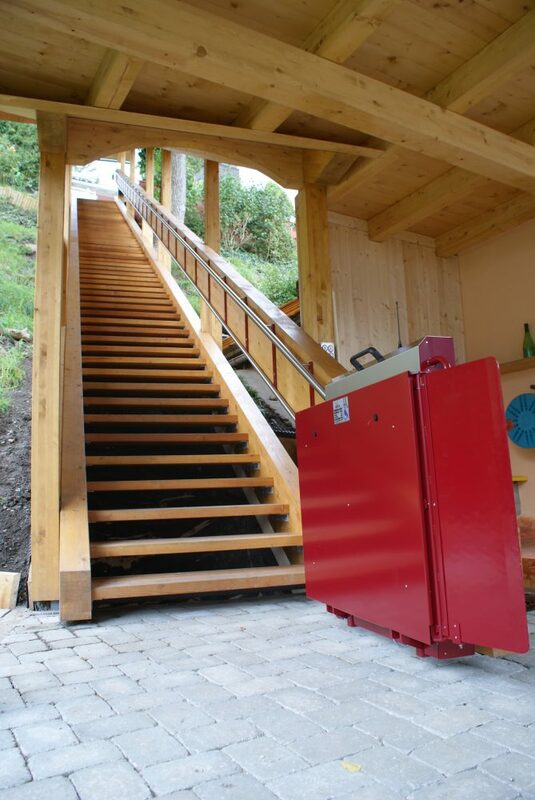 The all-rounder for straight stairs in the interior as well as in the outdoor area. 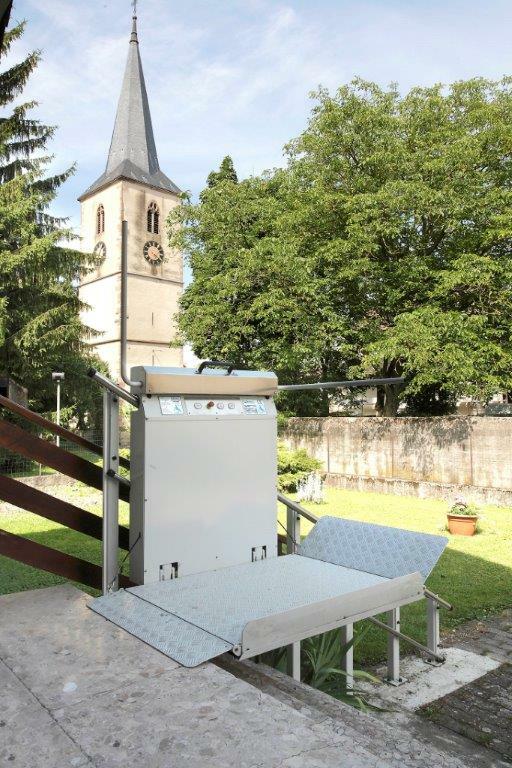 Because of an uncomplicated adaptable metal construction the GTL20 is perfect for special requirements. 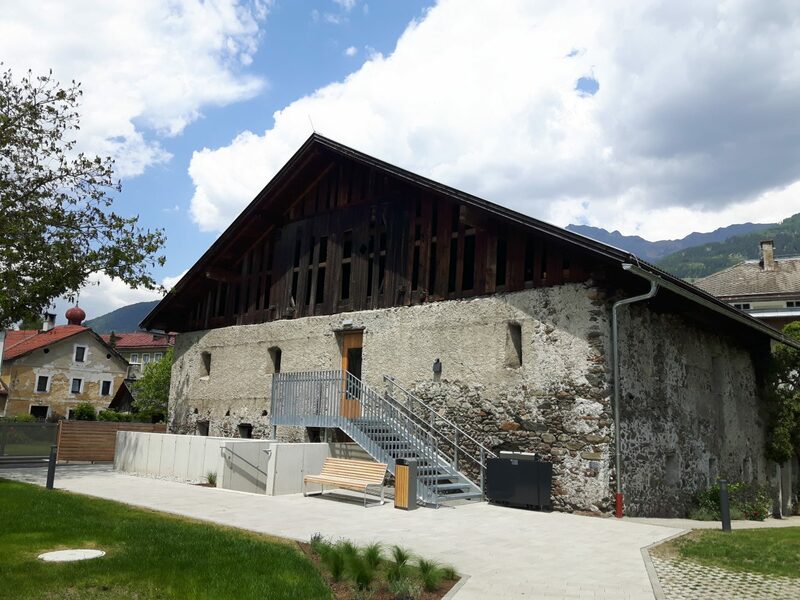 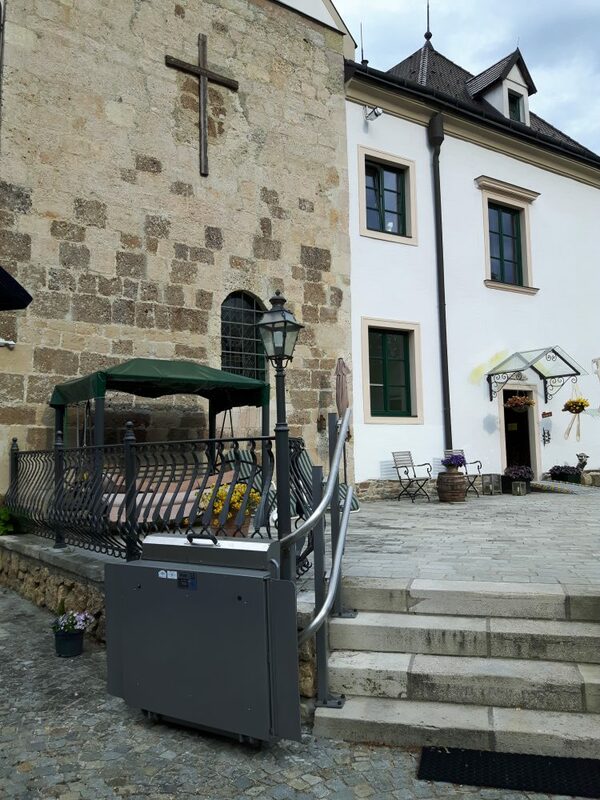 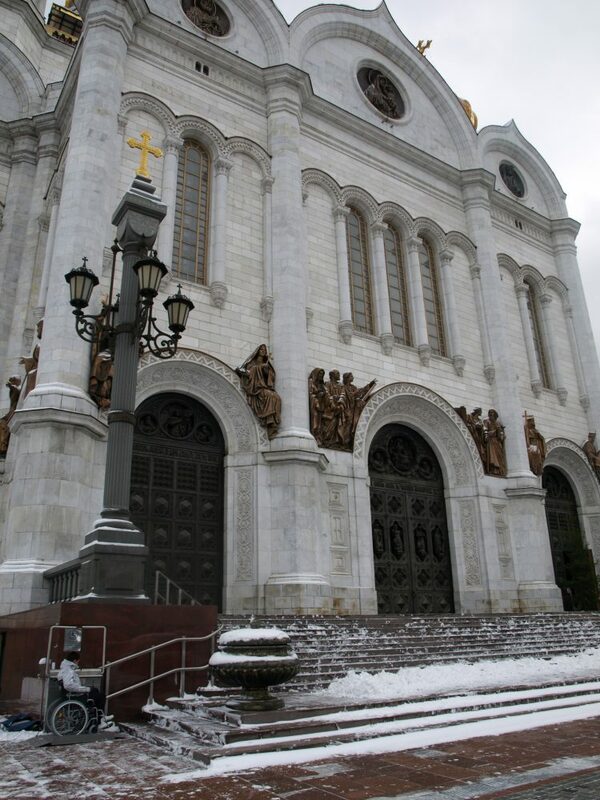 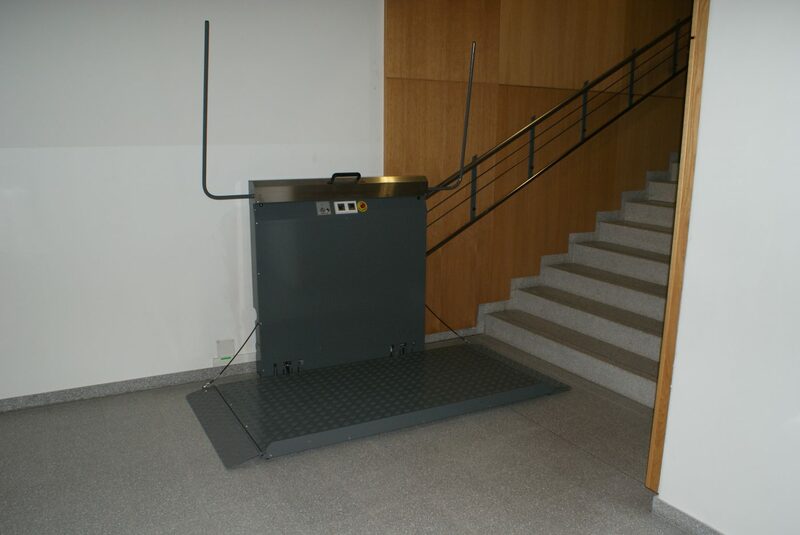 For example oversized platform sizes of 1100 x 1400 mm or a precious surface made out of real bronze is no problem for this kind of construction. 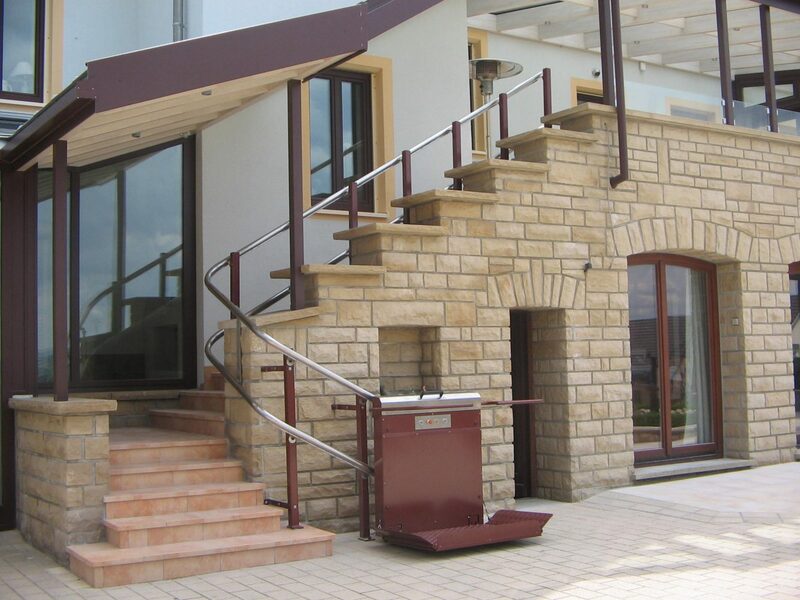 This type of construction offers the possibility to consider every kind of architectural requirement without any difficulty. 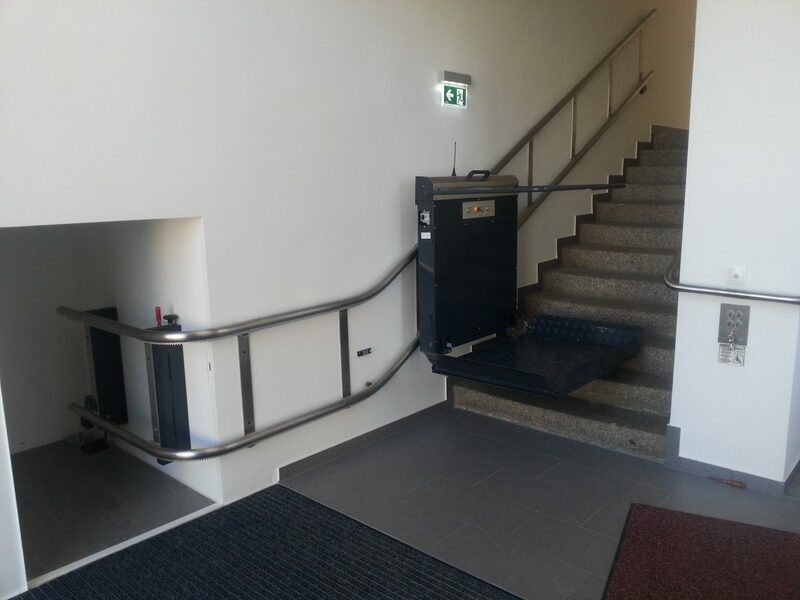 That is the reason why individuality is the main characteristic concerning this all-rounder. 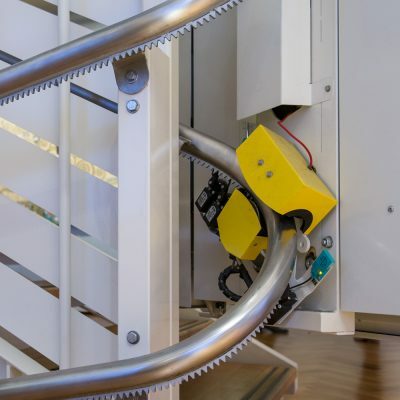 Optionally, this construction can be produced in a cable, power bus or battery finish. 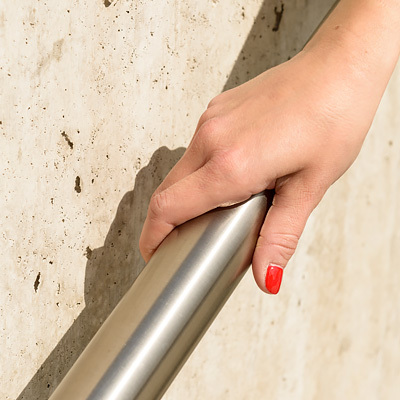 Safety and stability:The resistant stainless steel guarantees a durable functionality and can also be used as a handrail. 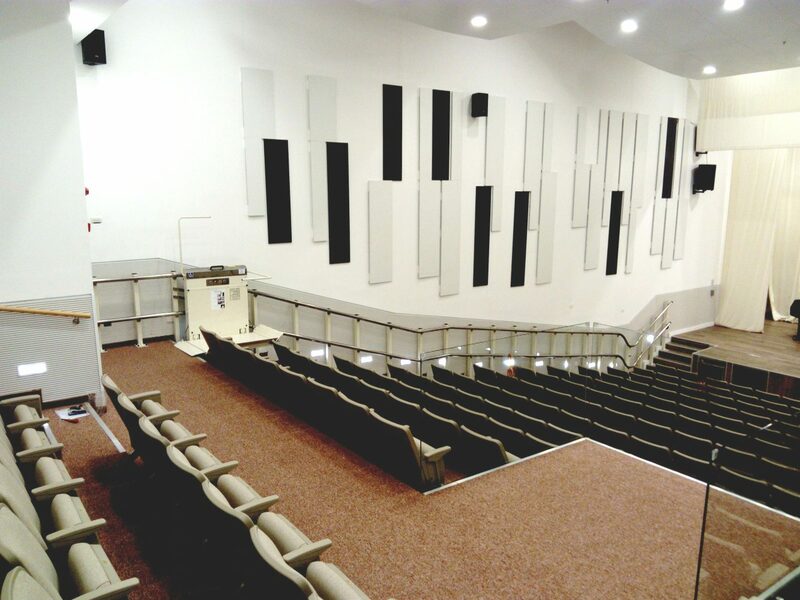 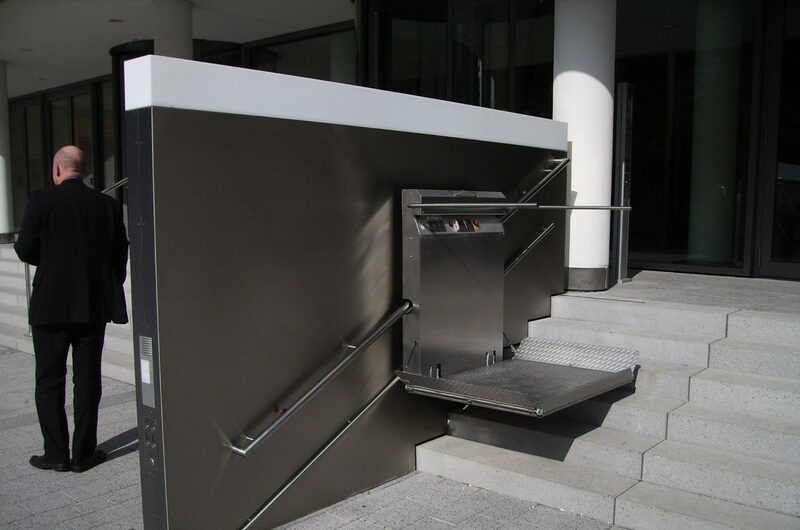 In a standard grey (RAL7040), stainless steel, brass, or in a colour from the RAL-colour range, the lift will fit the colour scheme of its environment. 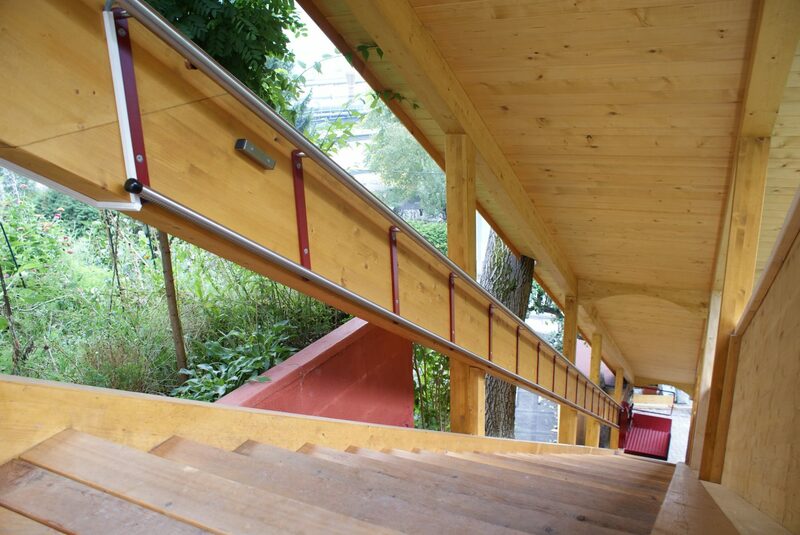 The flexible one for curves, horizontal rides as well as for inclination changes in the interior as well as in the outdoor area. 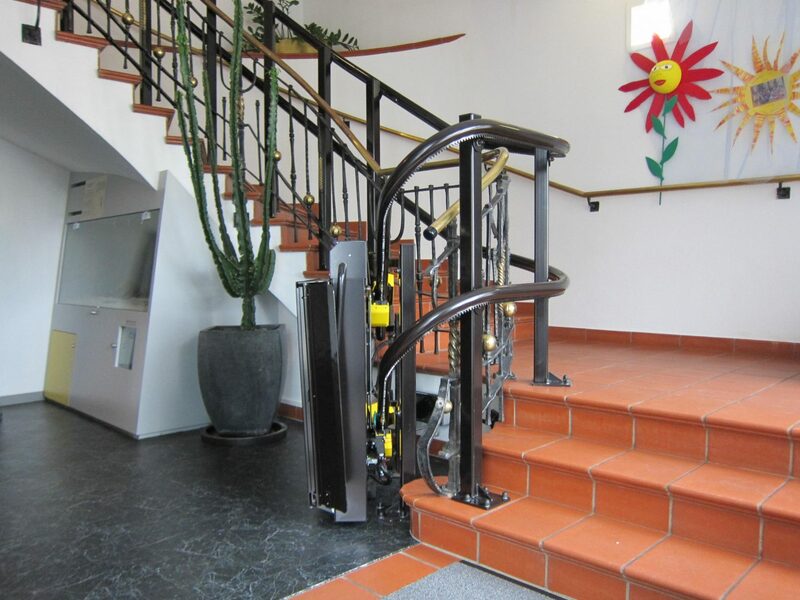 Complex spiral stairs and winding ascents and descents are no problem for our GTL30. 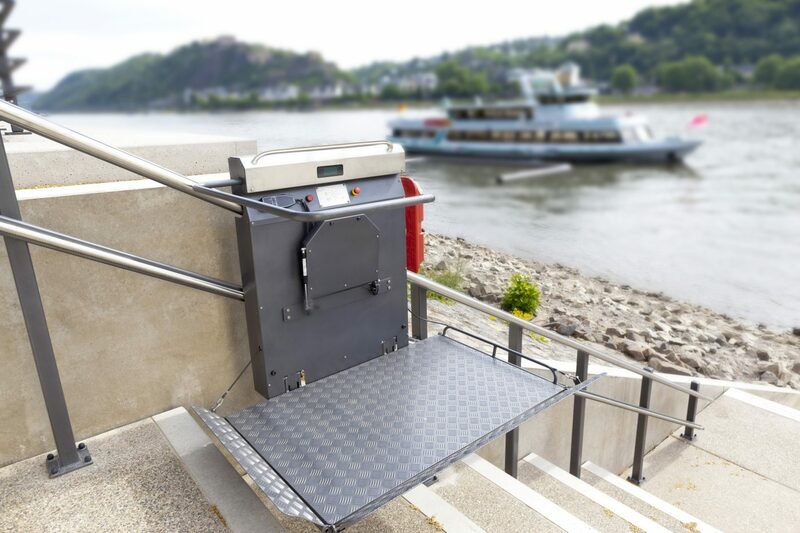 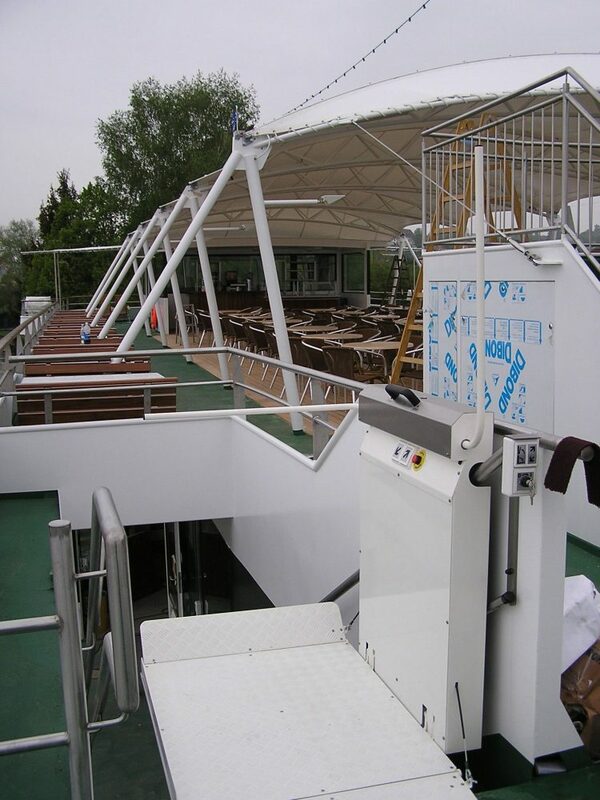 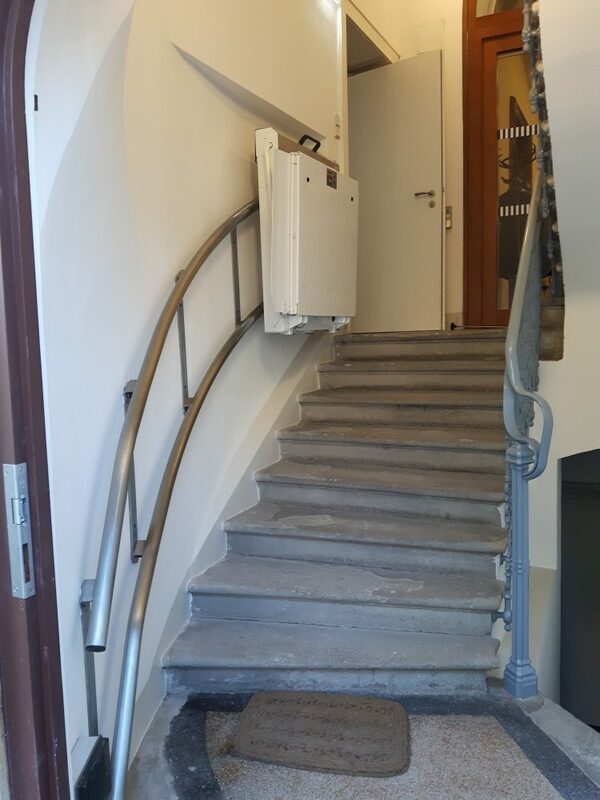 This platform stairlift was developed in particular for winding characteristics as well as for stairs with a change of inclination. 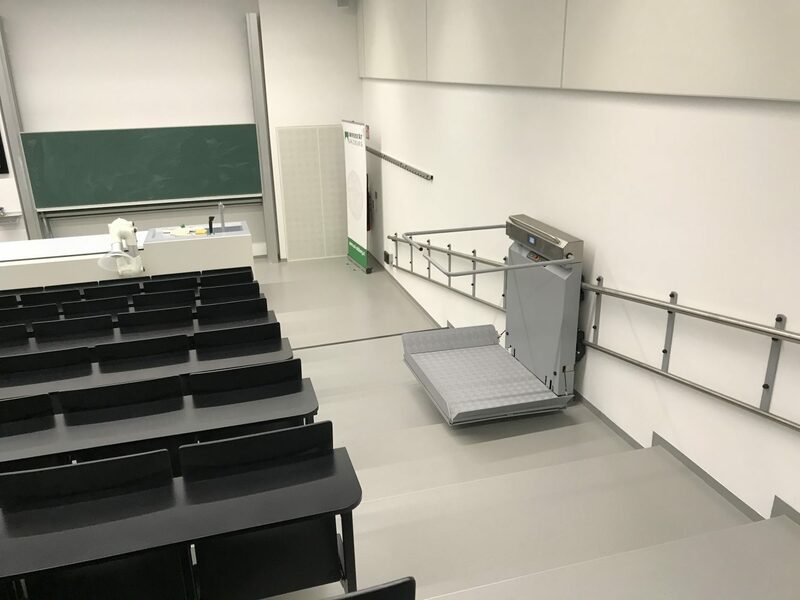 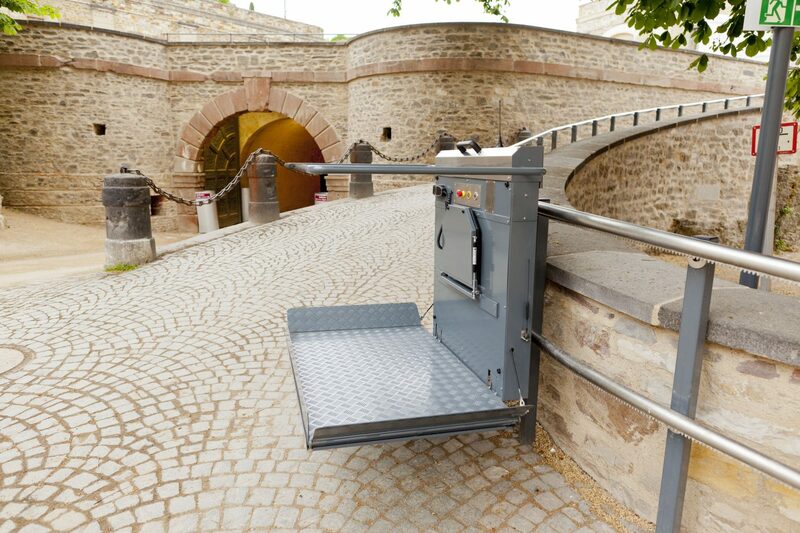 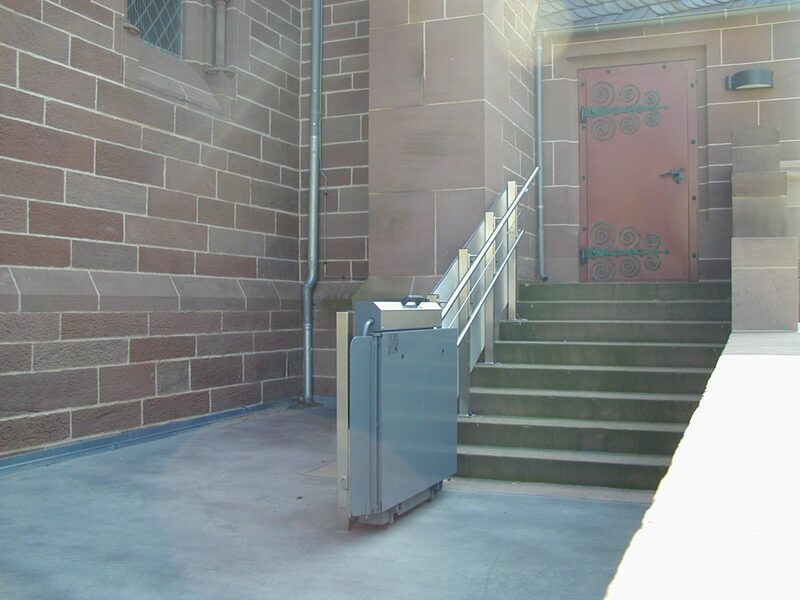 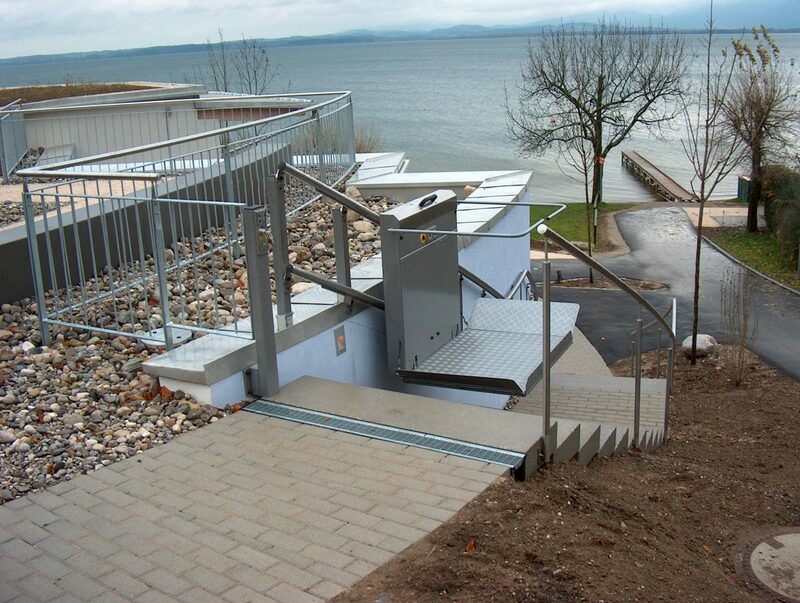 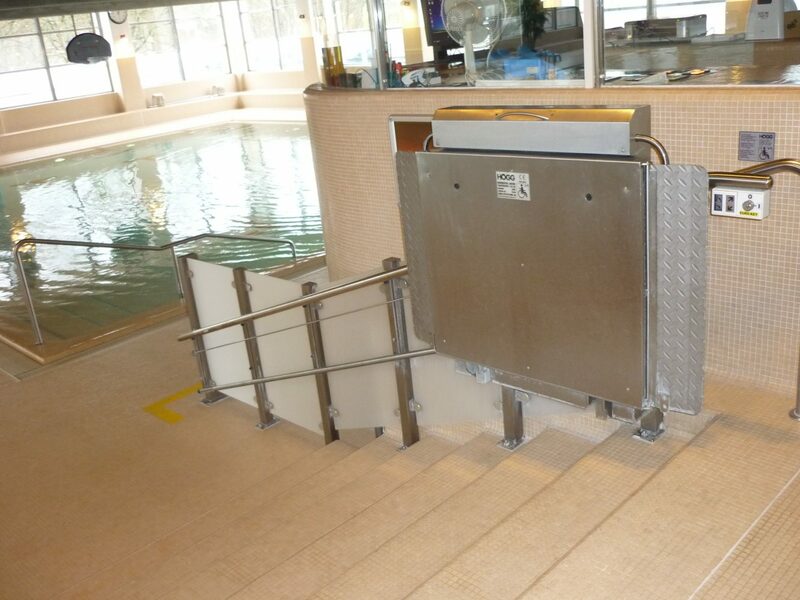 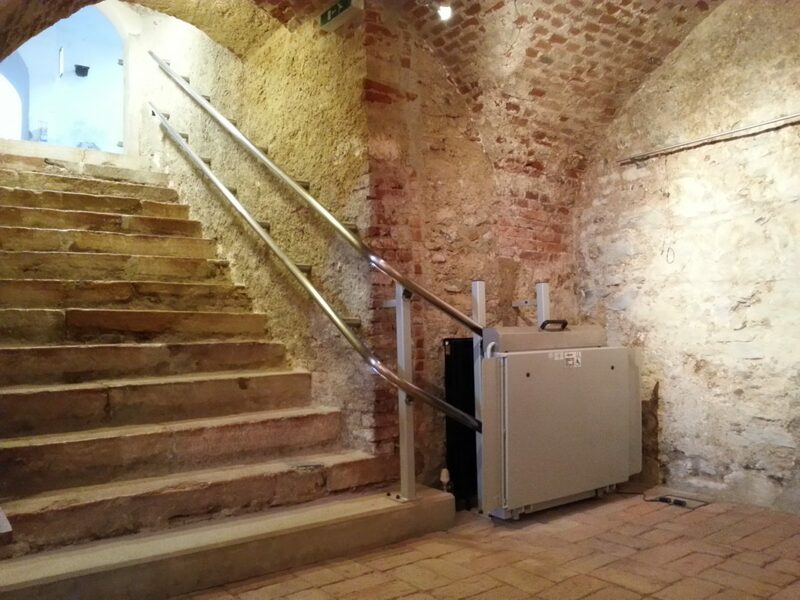 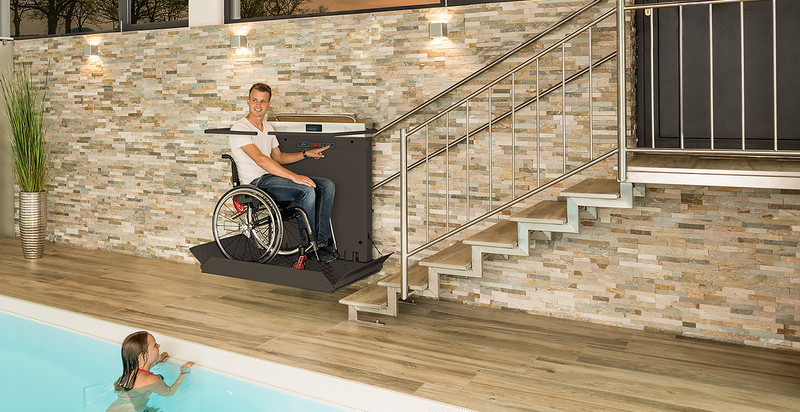 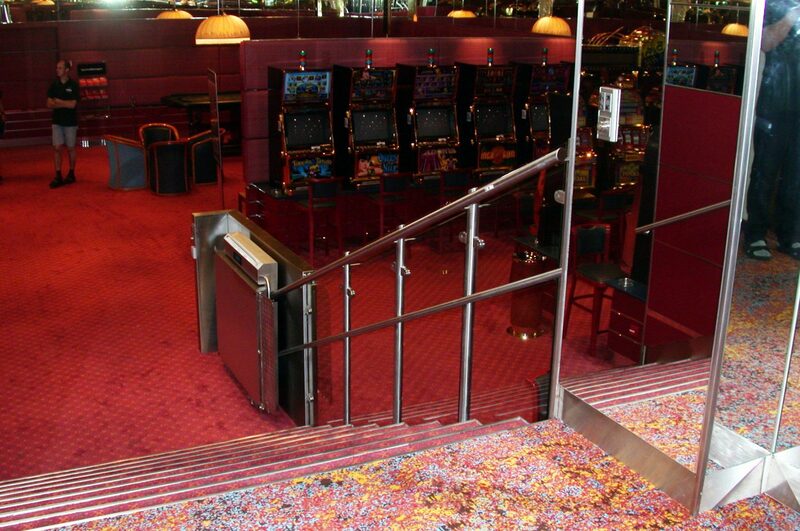 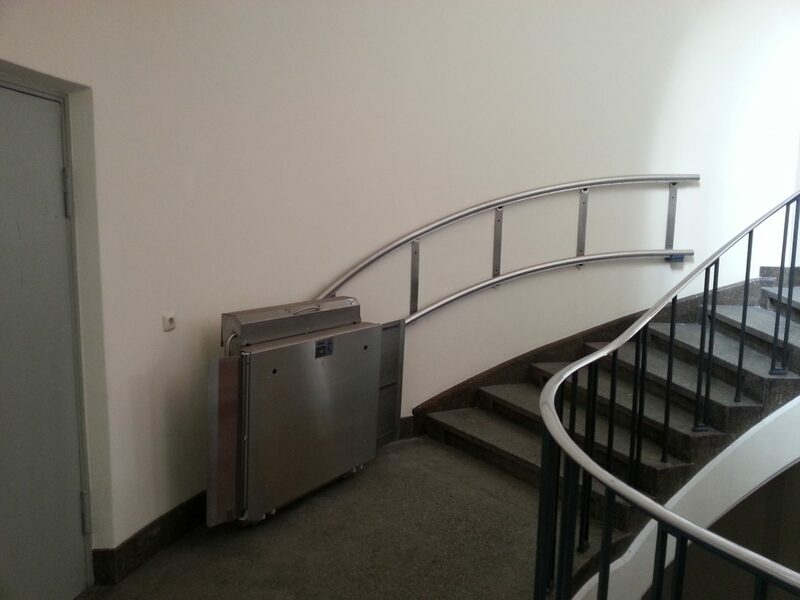 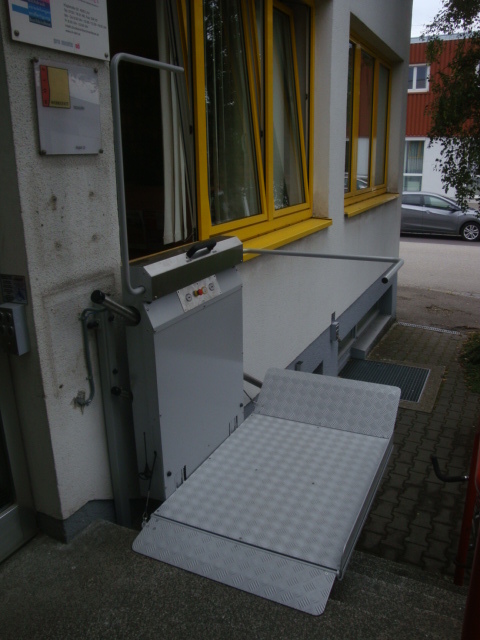 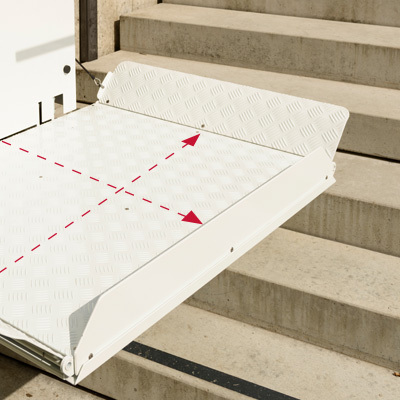 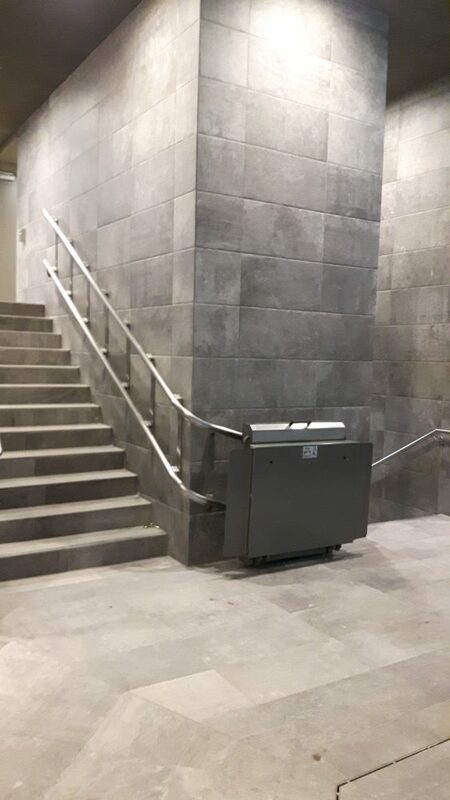 This model can be adapted to nearly every stair course – Accessibility is therefore easily possible. 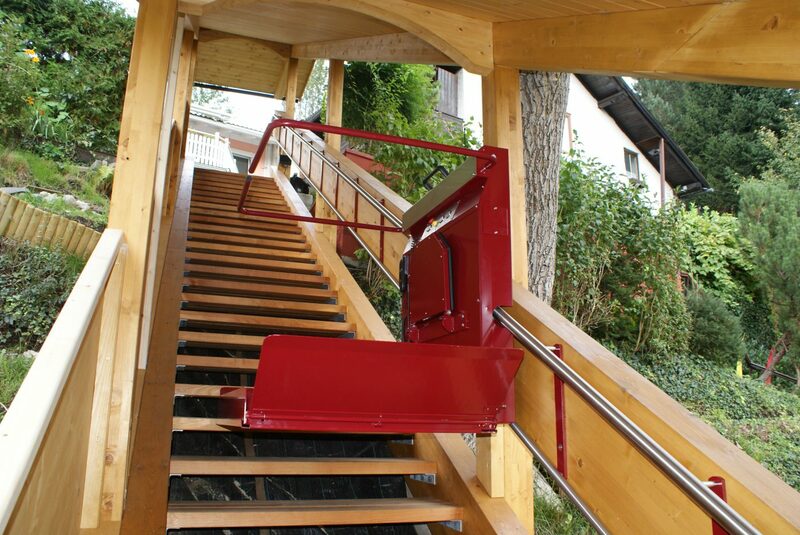 The twin-drive system which is used for this lift is unique, because it makes an up- and downward ride in a lane possible and no stabilization rail is necessary. 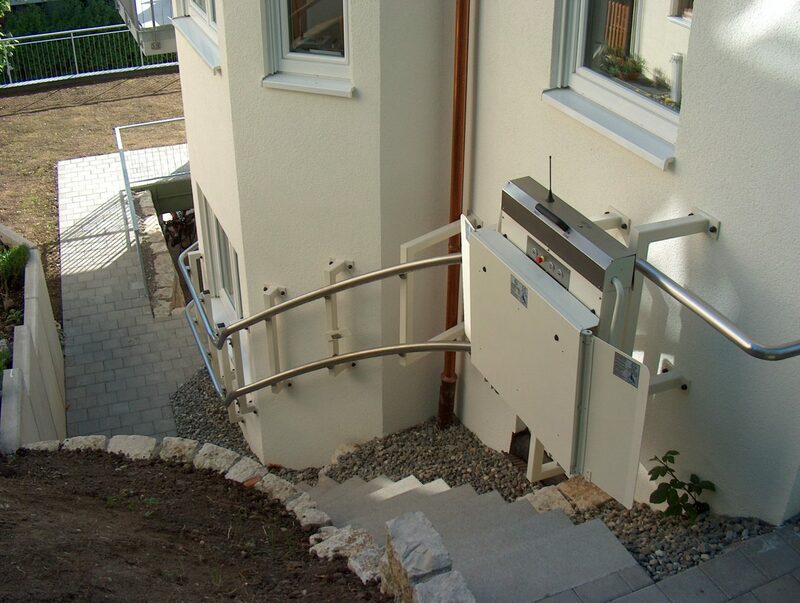 No stabilization rail is necessary: The unique twin drive makes an ascent and descent without a thrid rail possible. 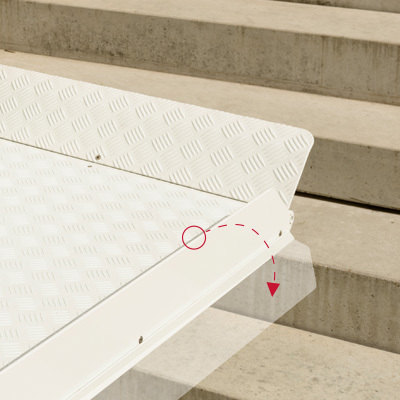 This is cost-saving in its production and offers a maximum of stability during the ride.